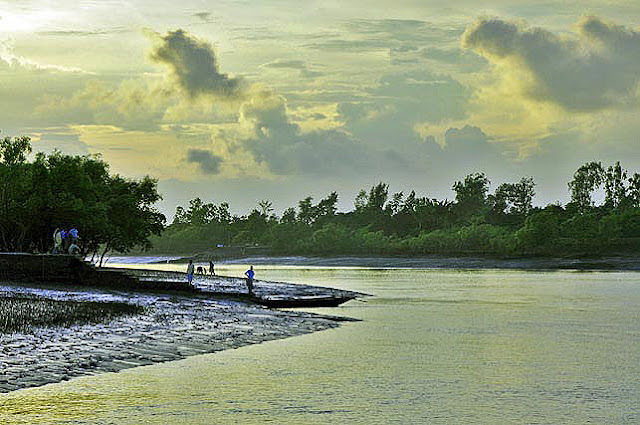 Sunderbans had always been a nostalgic haunt for me though I had never visited as a tourist, yet each sojourn had something which is worth sharing with you. 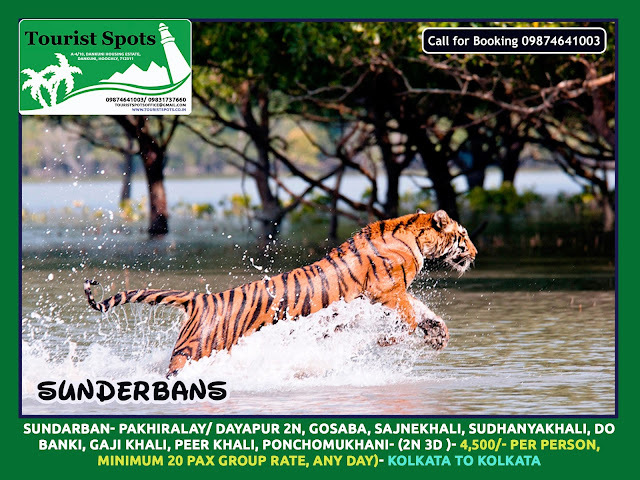 The Sunderbans the largest mangrove forest in the world ( Shared by West Bengal, India and mostly Bangladesh), known for its Royal Bengal Tiger reserve, biodiversity, mudflats and estuary infested by crocodiles has always been a special reservation in my childhood imagination. Bengali literature teeming with mystery tales and adventures moored in the swamps of Sunderban is enough to harbor an uncanny aura. If we dig into not so remote history, we are told that the Sunderban mangroves in the early 19th century could be traced from the vicinity of the city of Kolkata till it shifted farther due to ecological impact and human habitation. My grandfather used to narrate how the infamous tigers and crocodiles would frequent the outskirts of Kolkata, even crossing the Ganges. The fishing cats, wild boars and leopards were a common inhabitant of the village jungles of South Bengal. Those days just like the common crow now, Kolkata was scavenged by a wild bird,called Hargila ( Bone Swallowers ) which are now extinct. These creatures even had the ill reputation of snatching toddlers, and even the Calcutta Municipal Corporation used them in their logo. Let me not digress, to recall the first time I had my chance to visit Sunderbans, I had already been made aware of the do's and don'ts which fanned the belief that not all stories and reports were mere concoctions. It was in the year 2007 I had an assignment for an NGO in Pathar Pratima ( Southern Part of Sunderban) and in the early June morning a Tata Sumo picked me up from Howrah station and one by one my fellow travelers boarded. Our car took the Diamond Harbour highway, seated beside our driver, a local resident of Sunderbans I could enquire about the facts and misconstrued conceptions. It sounded that the villages of Sunderbans were no distinct from the rest of Bengal,apart from the inclement weather ( being exposed to the Bay of Bengal ) and the few incidents of human encroaching on wildlife has to face the consequence. It was a long ride with few halts for snacks break and lunch at kakdip, we reached our destination in the afternoon. Pathar Pratima being an island we had to cross the ferry and finally rode a motor driven cycle van ( a common conveyance in the Sunderbans ) till we reached a High School in the middle of a village ( Lets call the village as Bhagabanpur, real name altered ) where we had to stay for 3 days and as our project demanded were to conduct our survey and social campaign in the surrounding villages. The hospitality of the villagers were really discernible, as they treated us almost as a divine messenger and ensured that we had no less comfort than home. Settling few formalities for the next day the evening greeted us with the steaming tea and oil cakes with puffed rice, the local snacks. The school building had solar light panels as an alternative power source as load sheddings were very common. As a makeshift arrangement during the vacation we were accommodated in three classrooms. After a wholesome wild fowl roast and local prawn curry for dinner that night we proposed to walk some distance in the moonlight to ease off the overload. Our kolkata NGO team comprised of five members who were colleagues, whereas I met them that morning but by then we had become a team. As we decided to take a stroll, a local member warned us of snakes as snake bite was a major causality concern in these parts. To our respite he was equipped with a mammoth five cell torch and we got some comfort when the cook offered to be a local guide in our nocturnal walk. He was an instant hit with us with his typical parochial accent and knack of telling anecdotes at every opportune instance. Master da as he was called, we were startled to learn that he had completed Masters Degree from Calcutta university in Bengali but chose to be the rustic private tutor in Pathar Pratima, after willingly leaving the kolkata lectureship job just because he missed his village folks and his freedom. We were told that his exploits were a popular lore of the villages in the delta, as Master Da seemed to nonchalantly flaunt such celebrity status with his greasy humble exhibition of teeth. One thing we were certain that his cooking exploits alone was enough to steal our hearts and we were humbled that he volunteered to take the role only for the pride of his village.